Dream in Green kicked off its 10th year on September 23, 2015, with a Professional Development Training Workshop to which over 80 K-12 teachers and administrators attended. 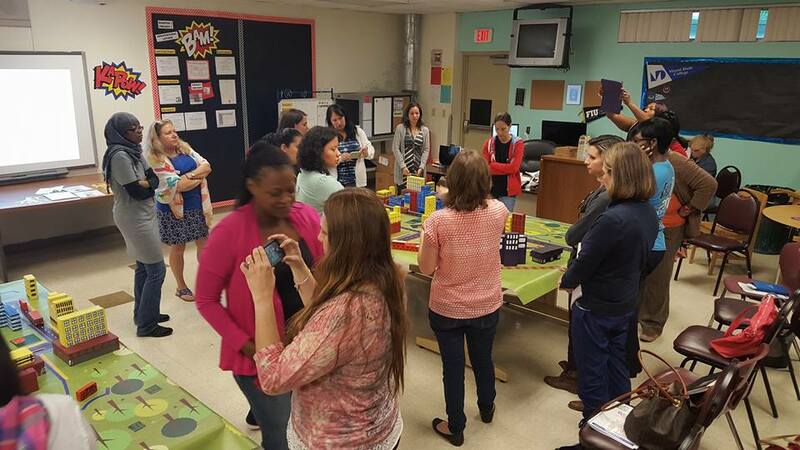 The workshop, hosted at Westland Hialeah Senior High School, provided teachers information and equipped them with tools to allow them to achieve their green goals. The Dream in Green Academy was launched in August 2015 to ignite collaboration between community organizations implementing environmental education programs at K-12 schools. Schools that enrolled in The Academy this year had the option to participate in one of three innovative programs including Dream in Green’s Green Schools Challenge and Water and Energy Learning and Behavior (WE-LAB), and the Coral Gables Museum’s Green City Challenge. The all-day training provided teachers the opportunity to learn from sustainability leaders on core program topics including water conservation explored by Dr. Kenneth Broad from University of Miami, waste reduction and recycling presented by Jesse Rittenhouse from the Recycling Energy Forum, and energy efficiency by Dr. John Parker from Florida International University. Break-out sessions were led by DIG and Coral Gables Museum staff. The Academy guidebooks were distributed and teachers ended the day planning their year ahead by creating an action plan for implementing the programs back at their schools. Dream in Green staff sends a special thank you to Mr. Victor Alonso and Ms. Ana Rijo Conde, Mr. Cristian Carranza and Dr. Ava Rosales from Miami-Dade County Public Schools for helping us host the workshop and align The Academy’s program curriculum with the STEM Pacing Guides.